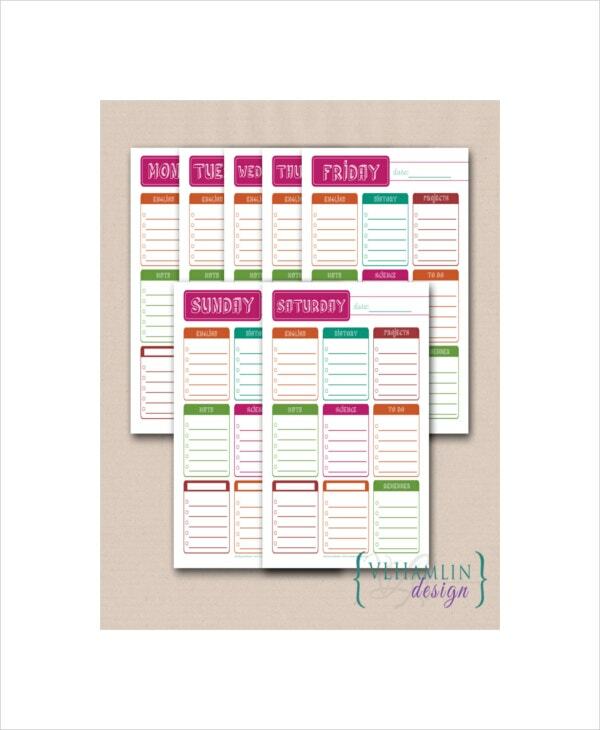 A student Daily Planner Templates is mostly categorized in a college daily planner. This means, the planner is created for students in order to put their lessons, activities, assignments, projects and the like that have their own submission dates. 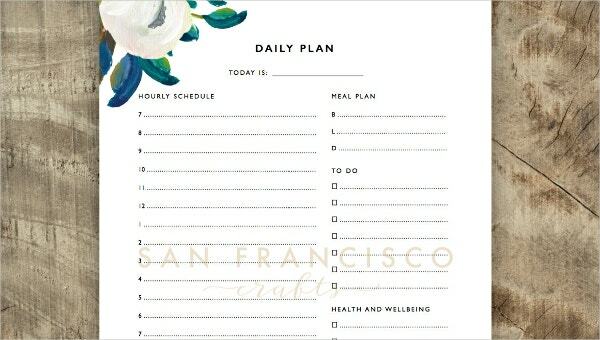 In order to perform different tasks, you will need a planner to remind you at the same time to keep track of your own performance. There are samples and examples found online under the Daily Planner Templates. This is a tool that has so many advantages on the part of the user. It is a friendly and reliable planner that anyone can make use of the samples by freely downloading it. 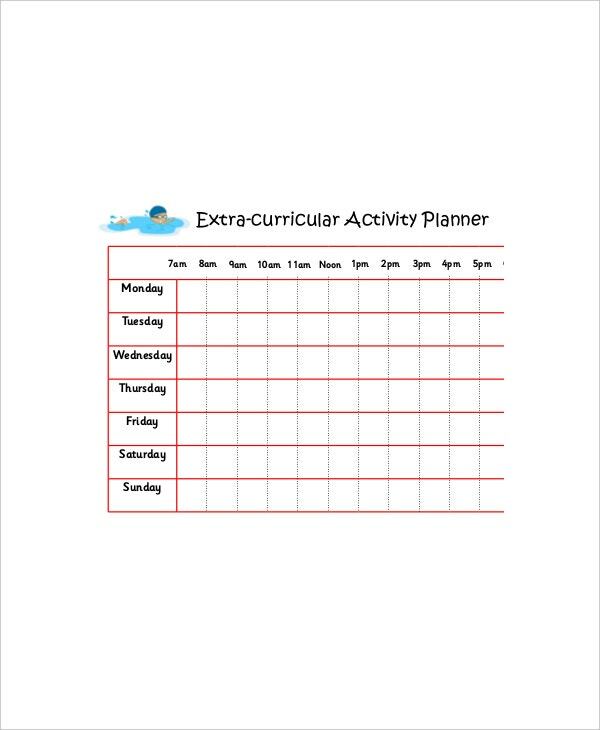 This planner is used often by students so that they can keep a track in the additional clubs and extra-curricular activities they participate in. with the help of this they are able to organize their study time and play time and make a balance between it. 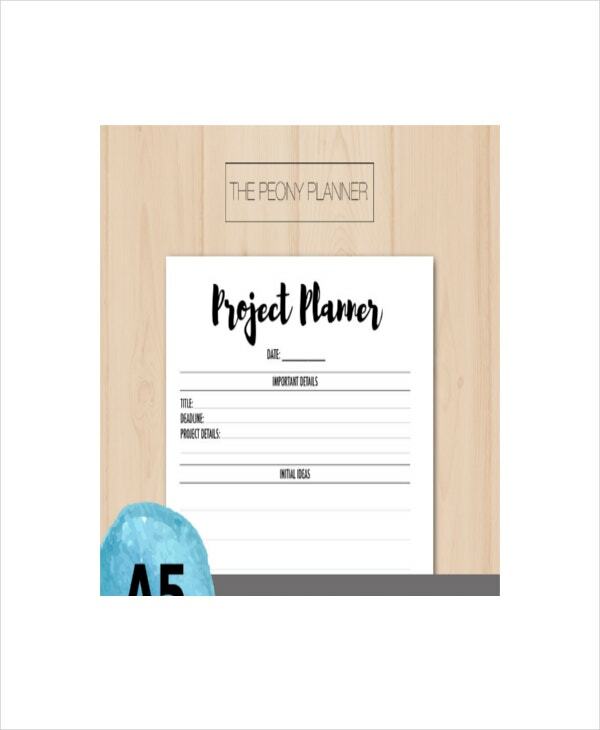 Students use these types of daily planners to keep a track of the number of projects given, the number of projects they are working on, and how much time is been taken for a single project. This way his educational skills are polished, organizational skills are workout out, and he gets a hassle free of completing all school projects on time. 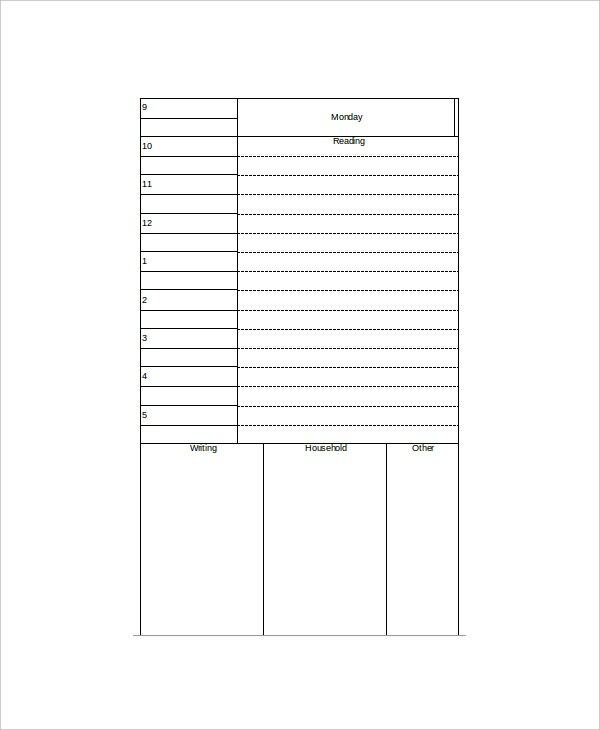 A student uses a school daily planner in order to keep things organized with school works such as homework, any extra assignment, the timings spent in school; the periods attended the amount of class work done, etc. This way the student gets an idea of his daily schedule. Once he is set to the schedule he shall not have a problem altering it, since he exactly knows what comes when. If there is something that goes out of schedule then he can easily get that back on track by making on time changes. This template is used by students to take out some time for themselves. They punch in their daily schedule and include an extra activity of going out with friends. If they are not very strict with the schedule, then they can make certain alterations and manipulations for their schedule. > How are the Daily Planners Useful for Students? > How to Create a Daily Planner for Students? Since the daily planner for students turns out to be a personal use document they tend to be subtle and less professional. Yet they are as well organized as any other documents. 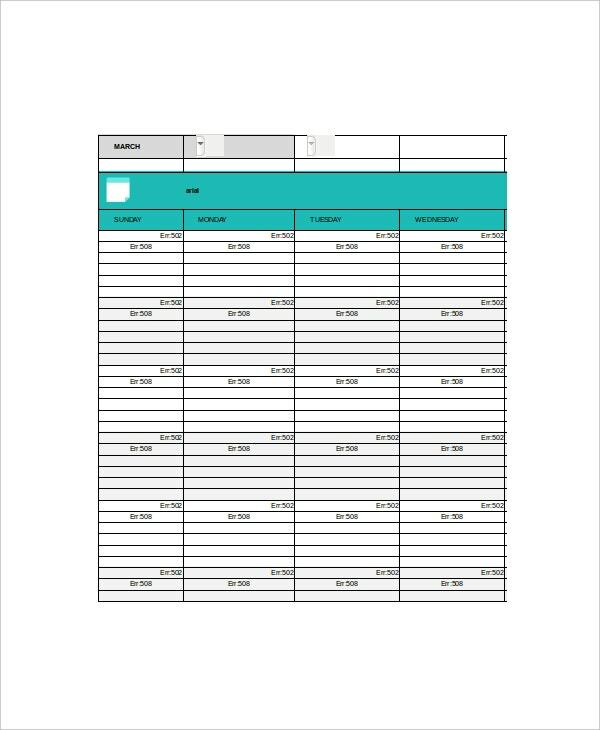 Students can use an excel sheet with columns made from before or they can create their own columns by customizing the width and length according to their wish. Further, the mandatory columns are to be filled and with the help of the online formats provided by us, they can create their documents without any hassle. You can also see Daily Lesson Plan Templates. The daily schedule planner has proven to be quite popular among the students. The response has turned out to be great, due to the regular updates and additional features of each of the templates. When it comes to compatibility and flexibility then the documents have proven to be quite a success. The documents are compatible with all types of versions and are available in several formats such as PDF, PSD, and Word document format. The most commonly used format includes the excel spreadsheet, and the MS word document format. Children find it much easier to solve their hassles by using the student’s daily planner, and have declared it to a 99.99% user friendly. Hence quit struggling with your schedules and try the students daily schedule planner.